The fishing just keeps getting better as the summer heats up (it's not supposed to work this way but it does for me, I can't catch a darned thing in the spring when big bass are supposed to be caught). 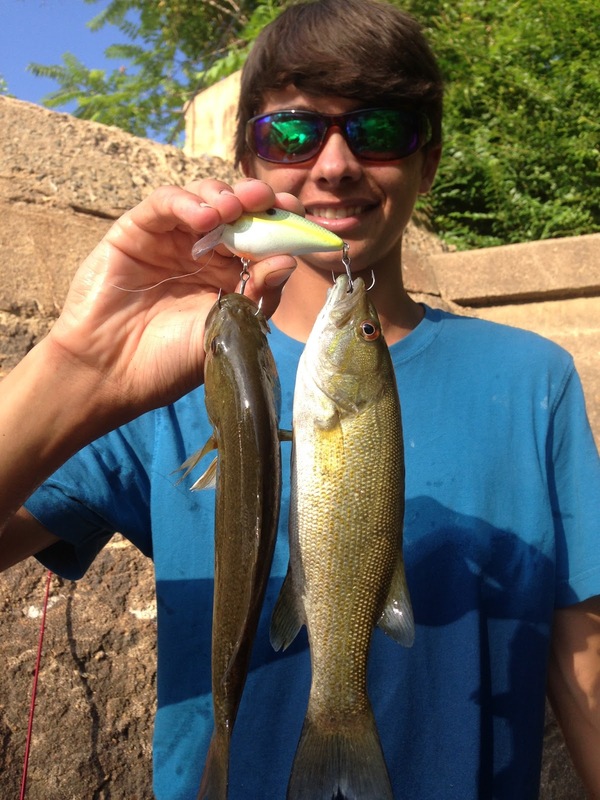 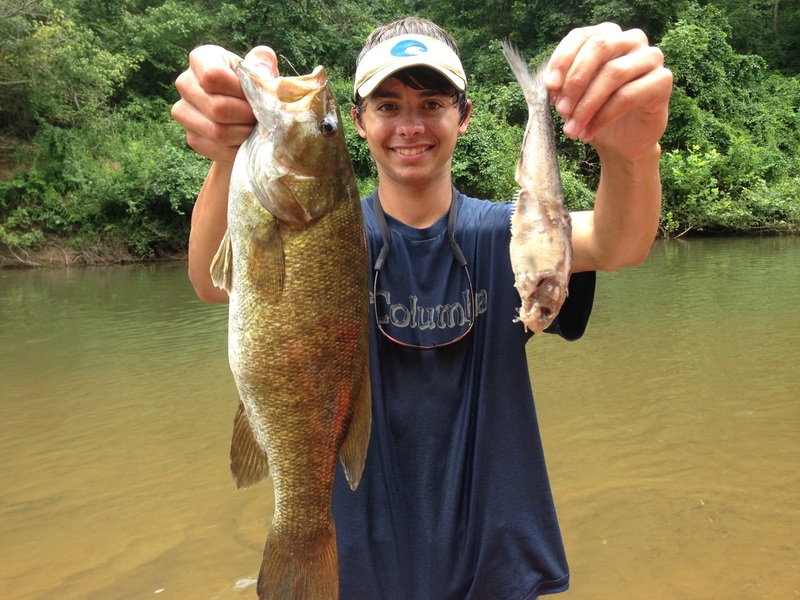 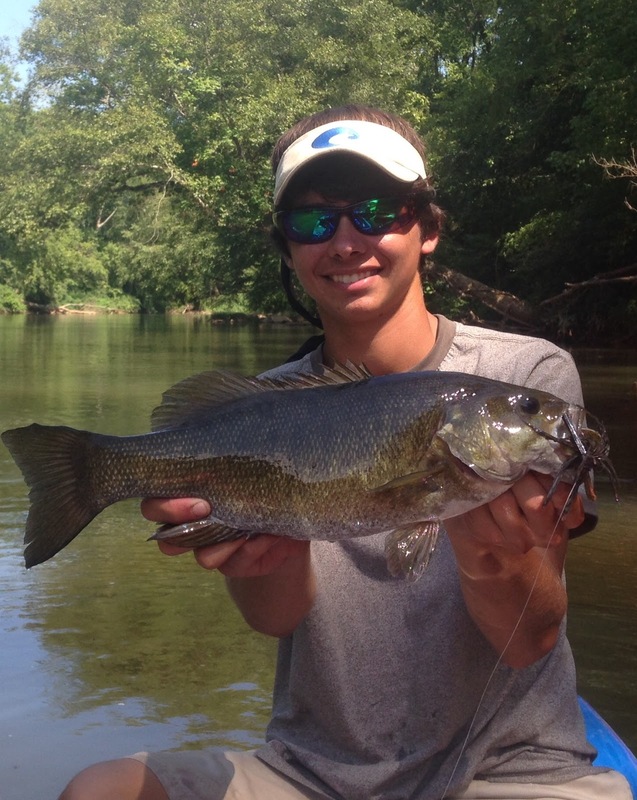 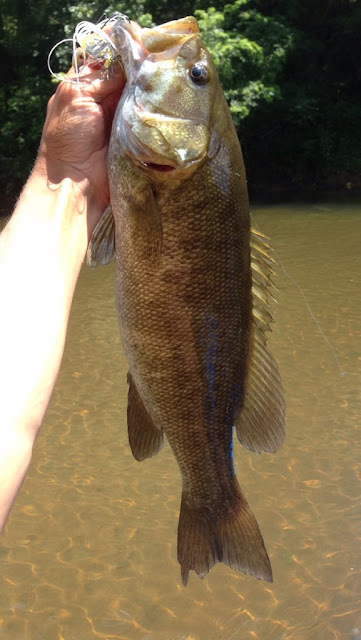 This smallmouth measured 19" and coughed up a huge shad, I caught it on a war eagle spinnerbait. Also got into a few walleyes, I landed 6 in an hour, in a location that I located when I had numerous small walleyes follow in a glide bait. 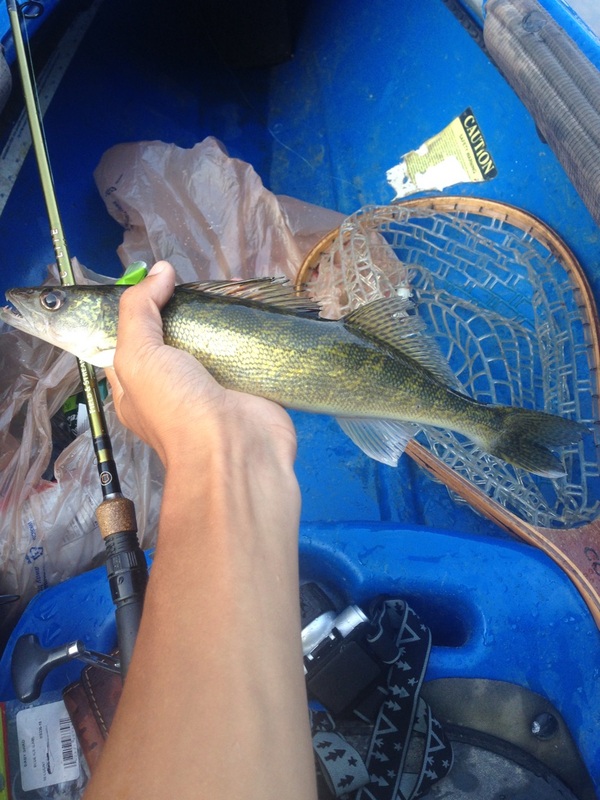 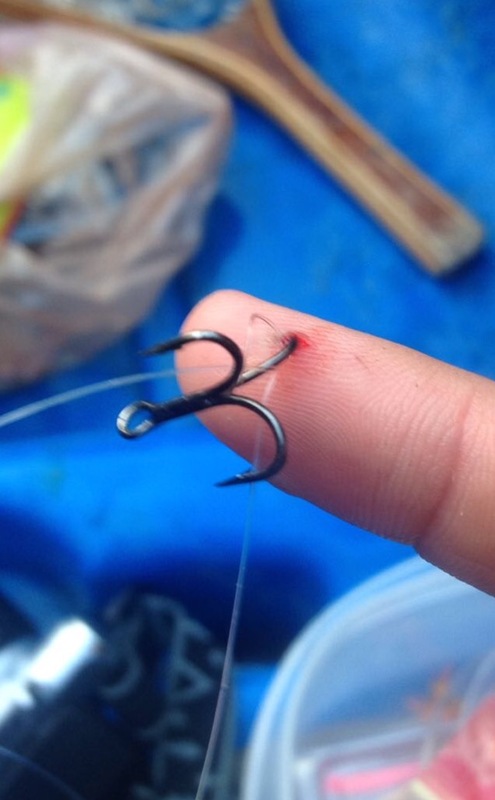 They were all 12-15"
One of the walleye shook its head and this happened, fishing was too good for me to leave, and with a little help from willpower and adrenaline I removed the hook myself and continued catching them. 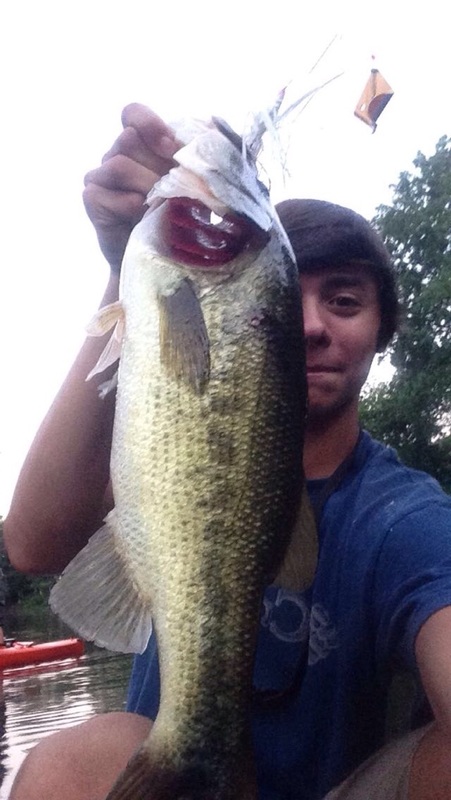 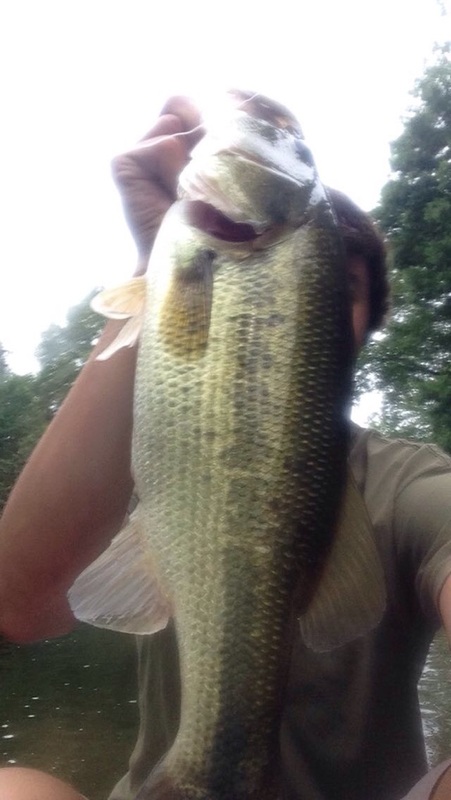 One of the hundred or more bass I have caught on a Cavitron buzzbait in the past 30 days, I swear they are magic baits. 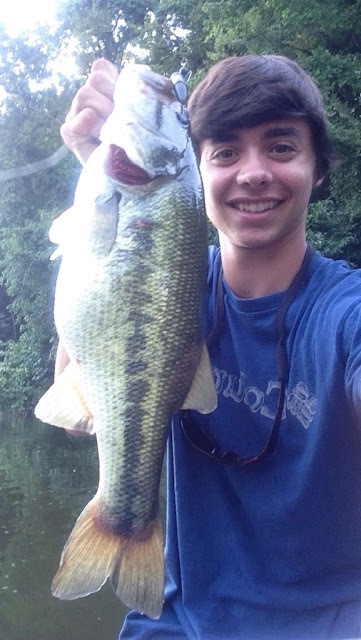 A 24", 5.35lb skinny girl that I caught on a drop shot with 6lb test. Fun fight! 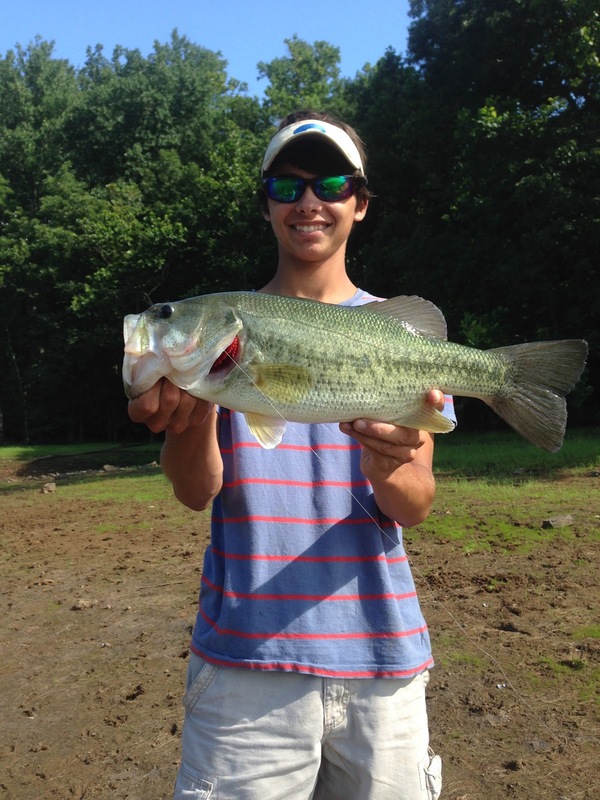 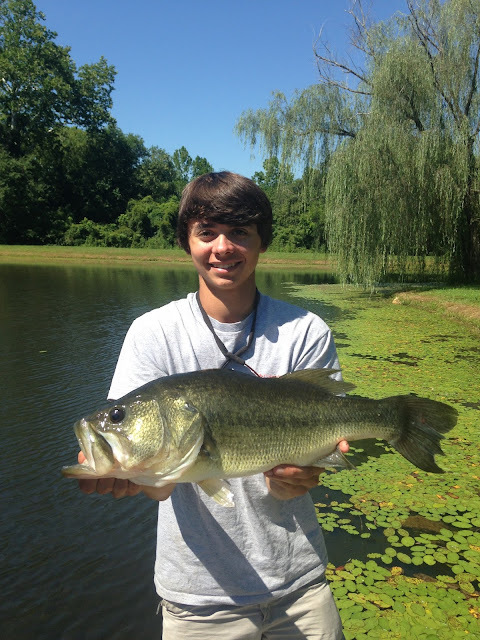 That makes 4 citation largemouth this year, all during summer.